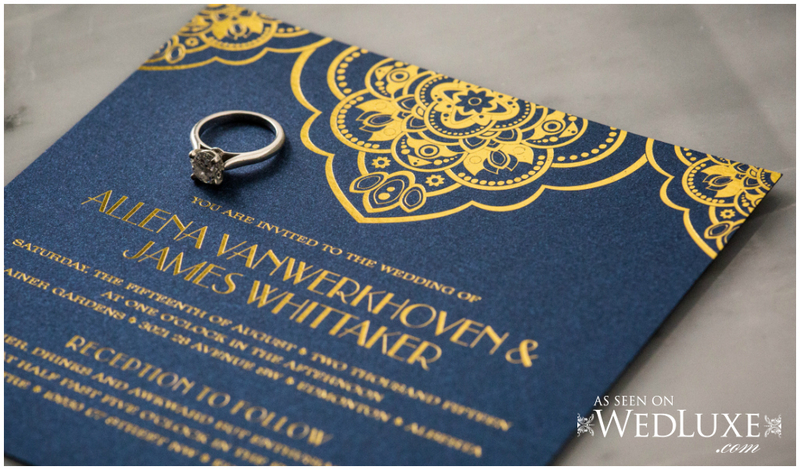 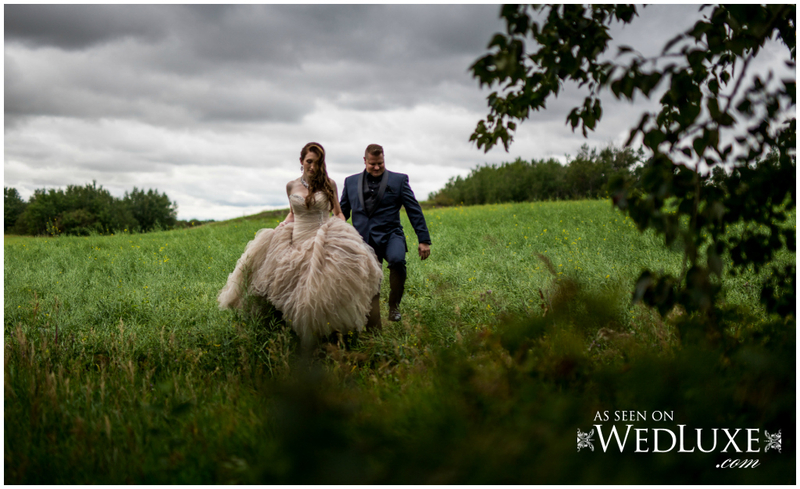 When we first met with Allena + Jamie, it was clear we’d be a great fit to work together and that it would be a fun year ahead of planning and designing their dream wedding. 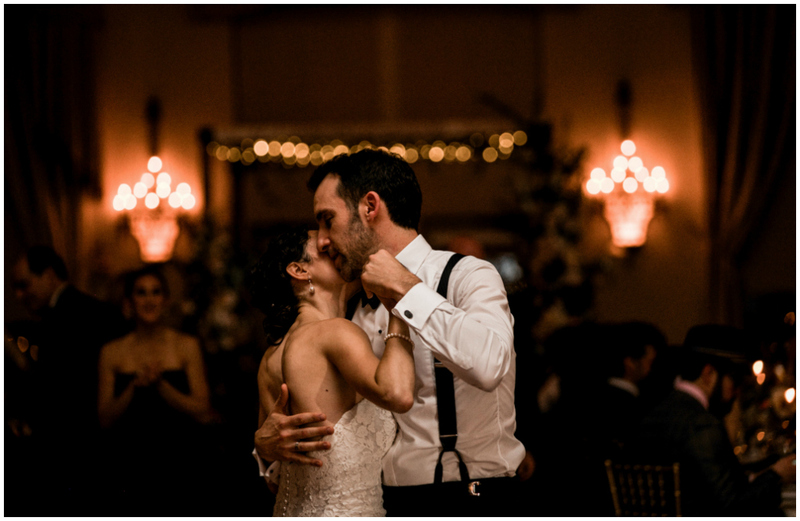 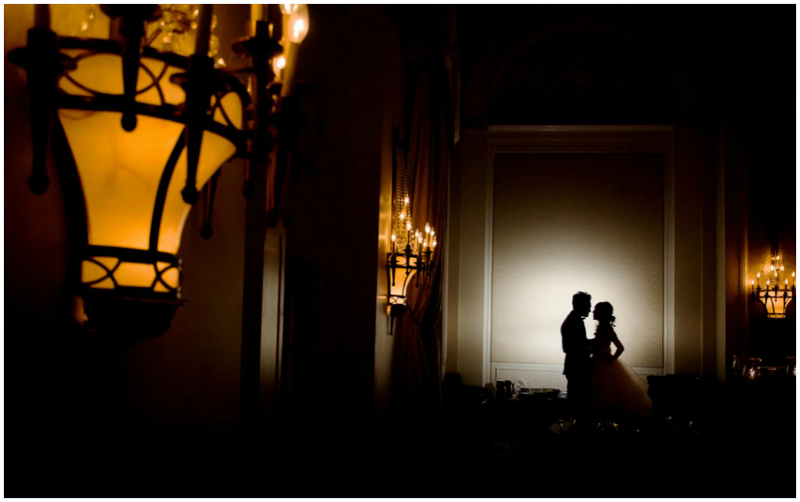 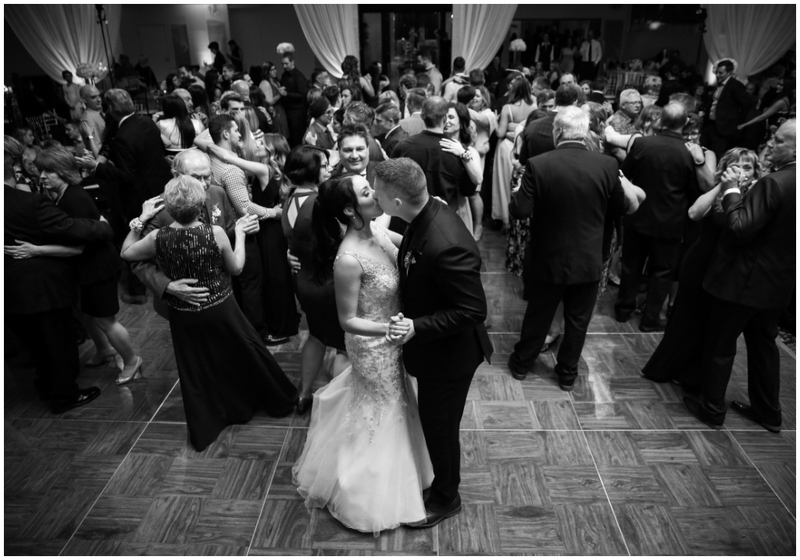 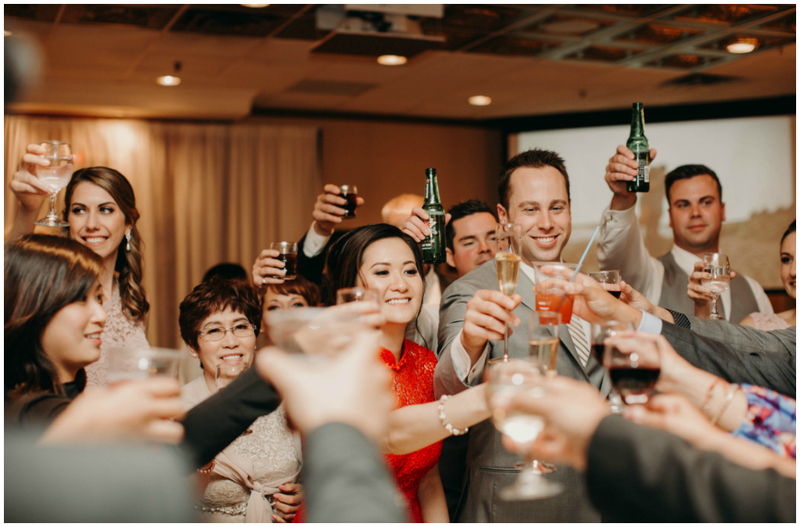 Always positive and upbeat, their zest for life shone through in every decision made for the wedding, with their top priorities being a fun weekend for their guests and jaw-dropping décor. 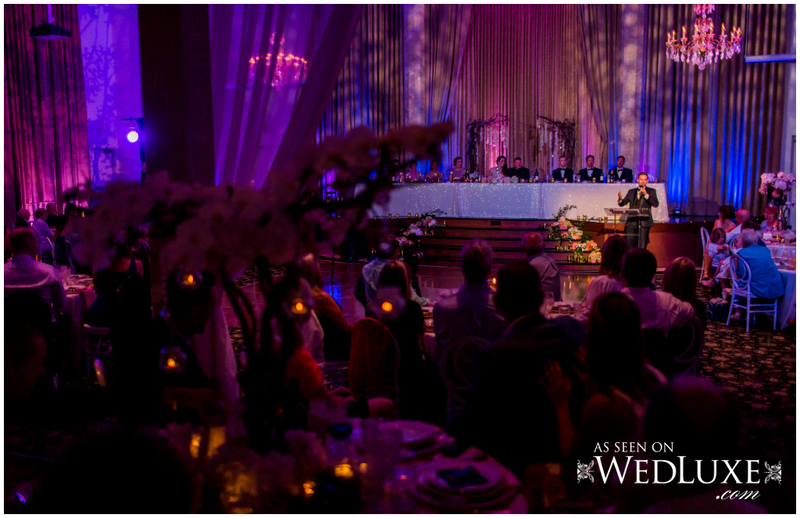 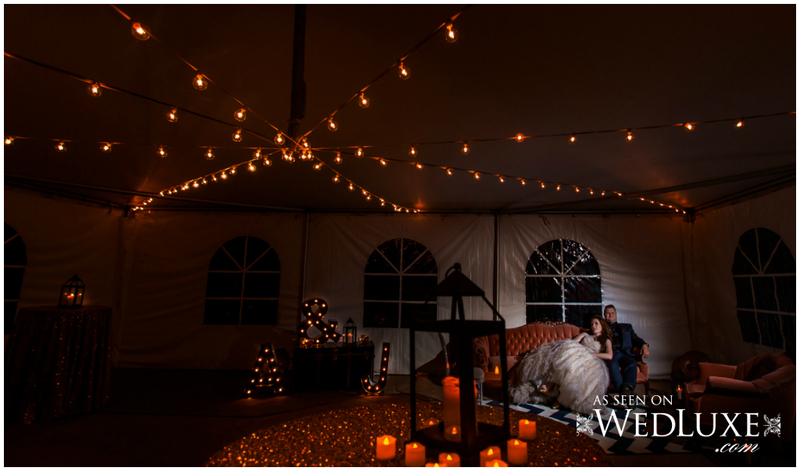 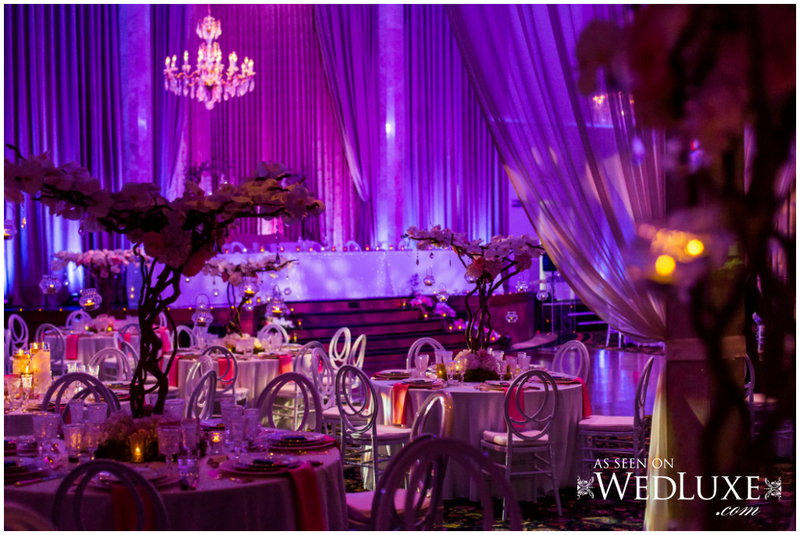 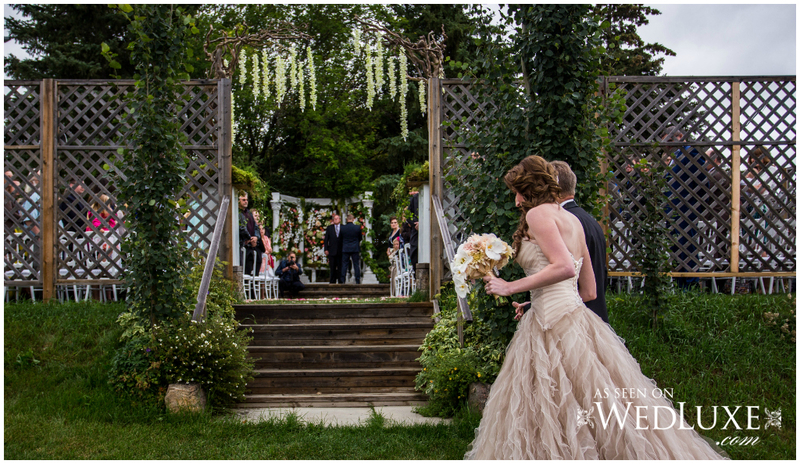 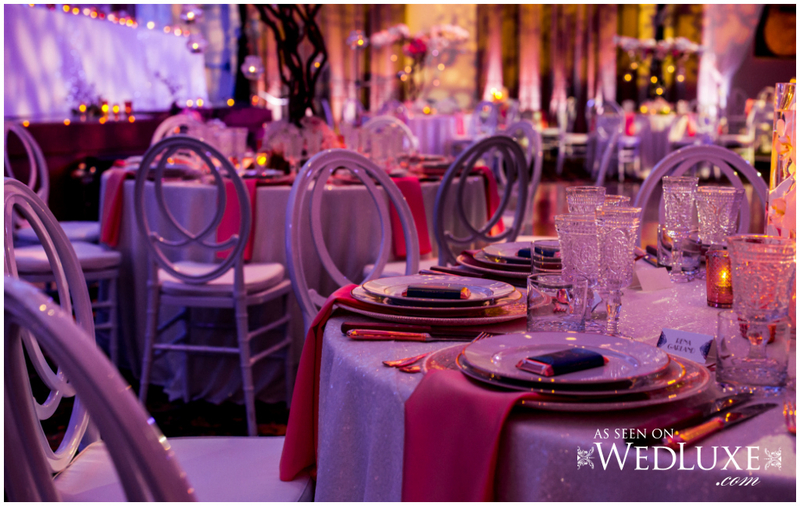 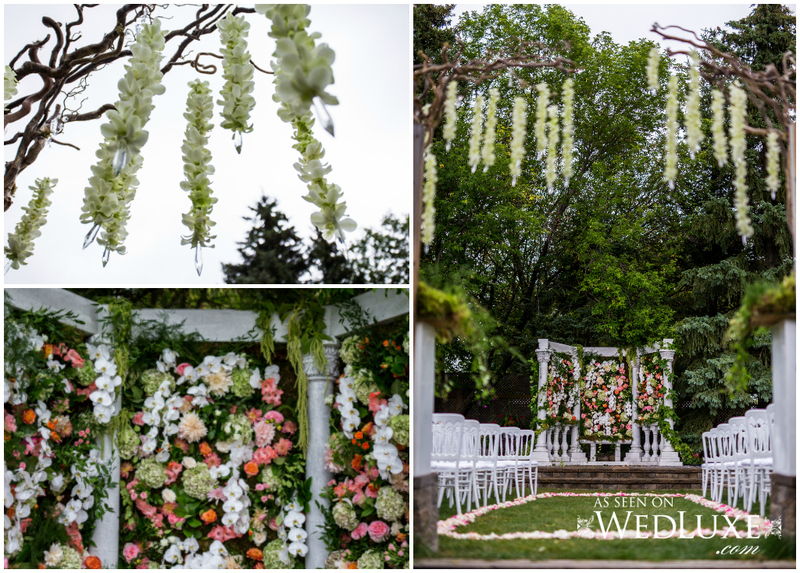 The overall design direction was inspired by the ceremony venue – Rainer Gardens. 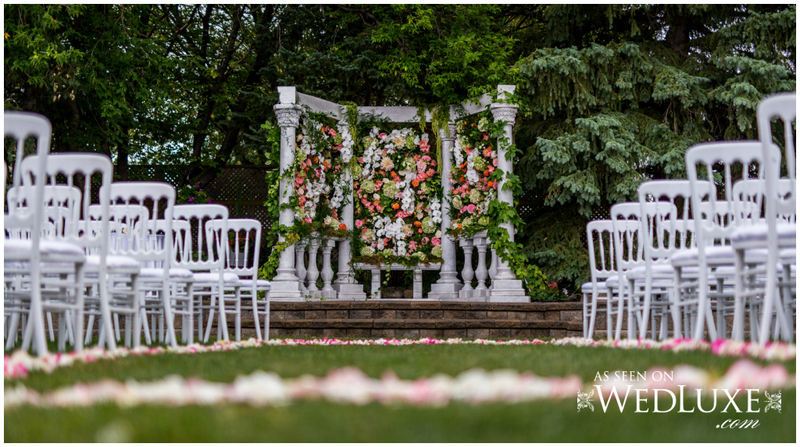 The gardens featured an existing stone structure at the altar, so we designed a lavish floral wall to create a unique and luxurious backdrop for the vows. 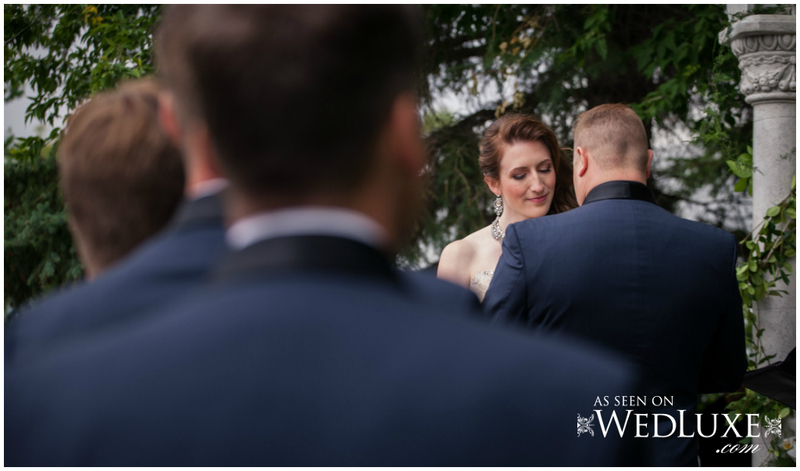 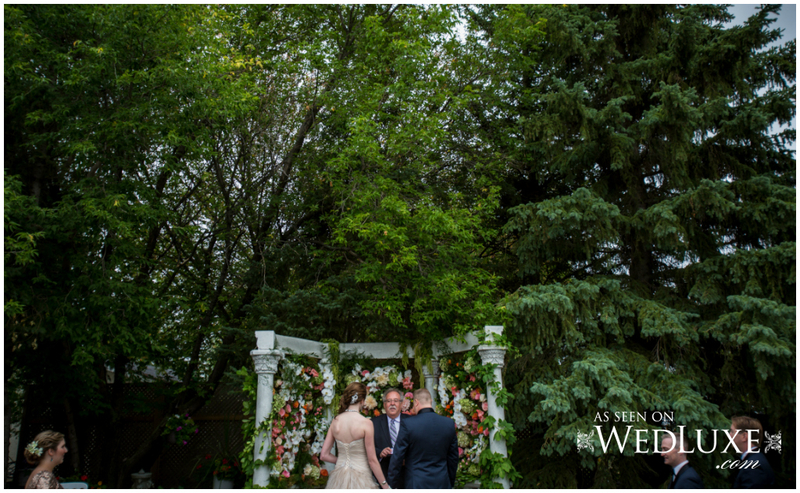 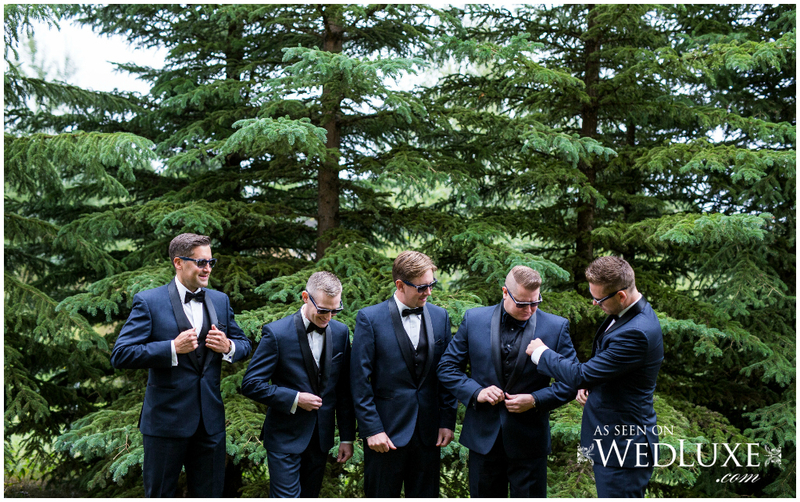 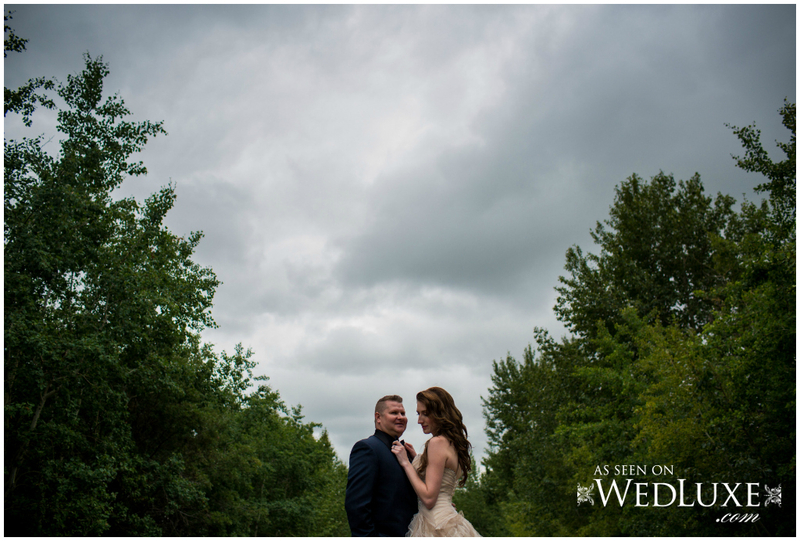 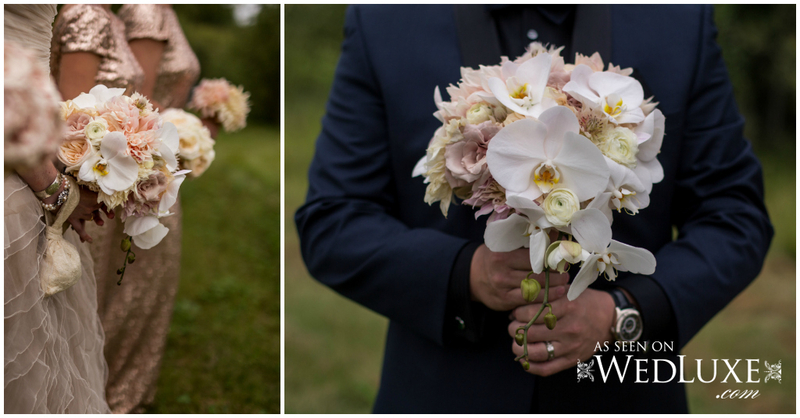 Despite the unseasonably cold weather for August, the rain held off and the ceremony proceeded outdoors as planned! 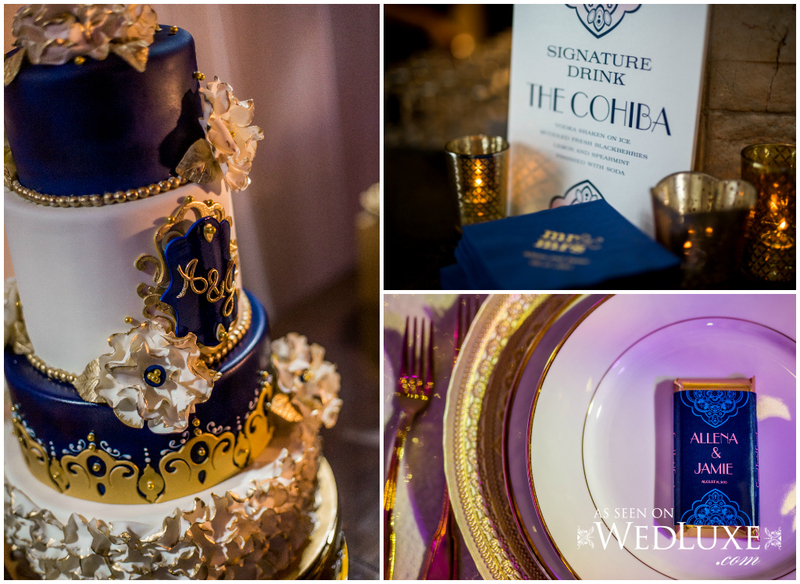 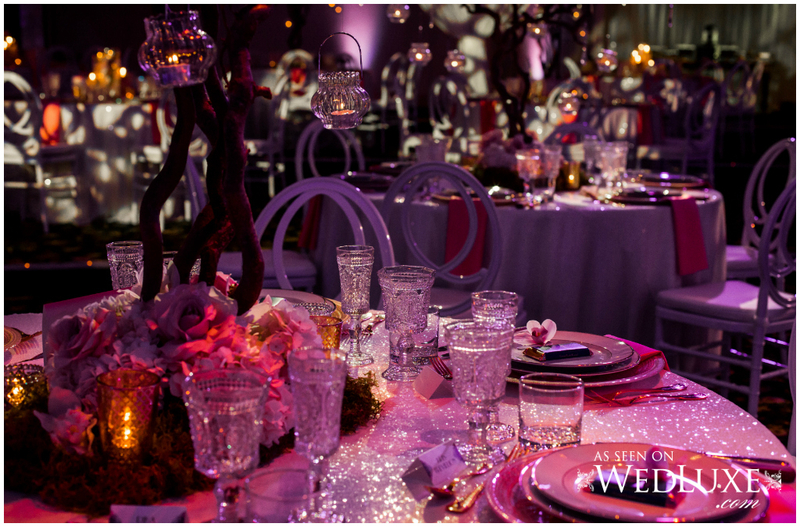 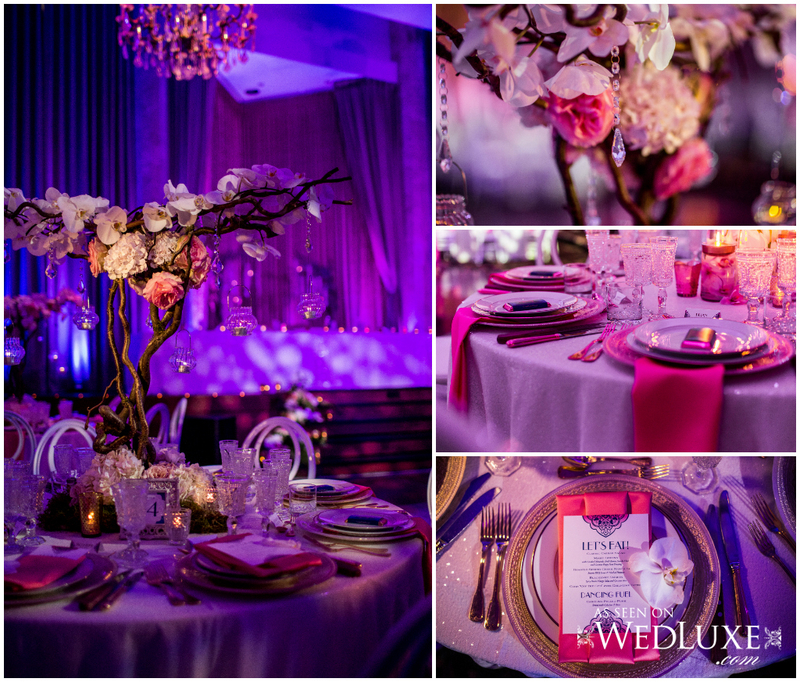 Guests made their way to Oasis Centre for the reception, where show-stopping custom witch hazel centrepieces and lighting in morphing tones of pinks, blues and purples brought the Opulent Enchanted Garden theme to life. 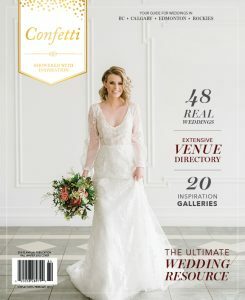 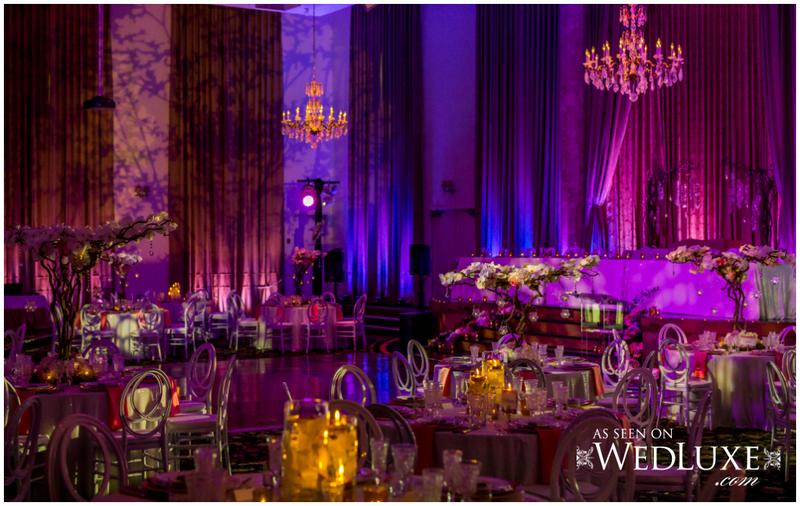 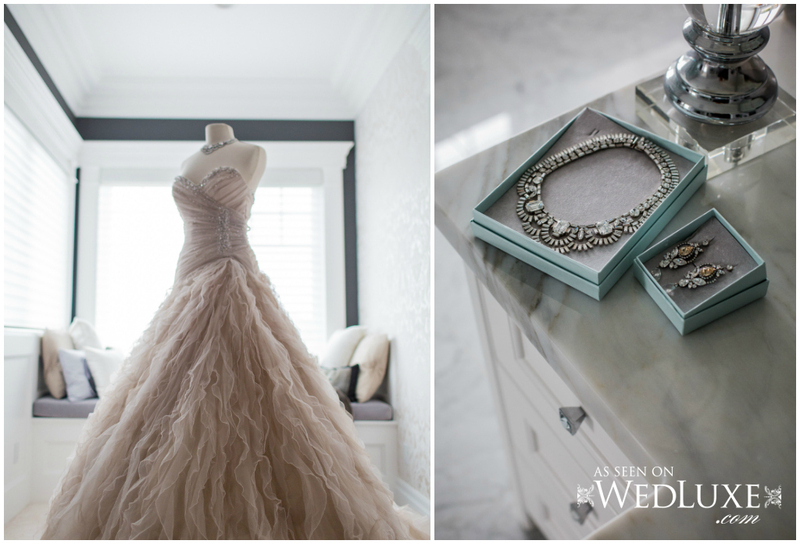 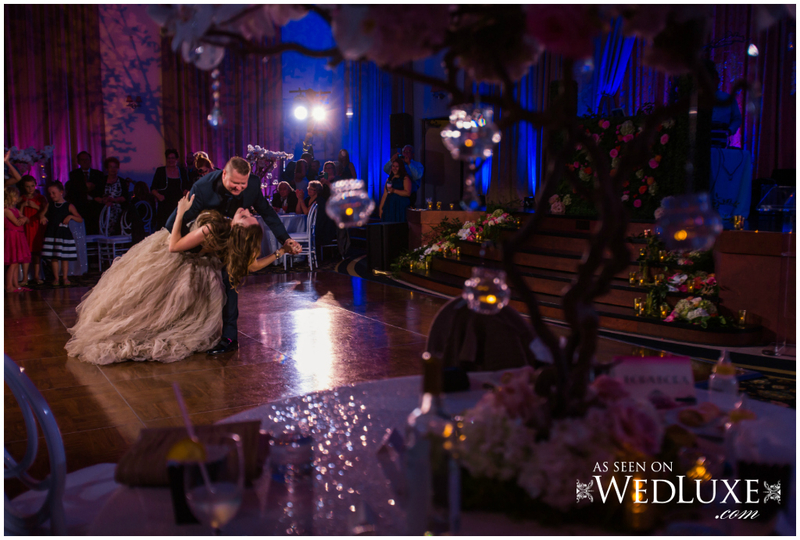 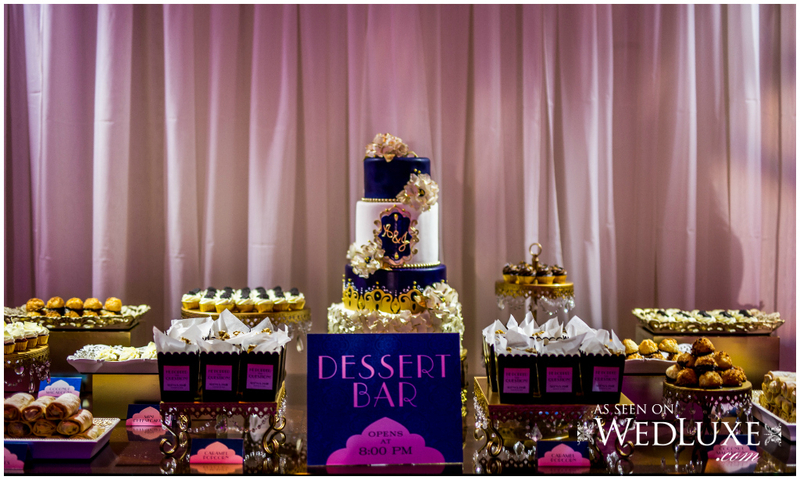 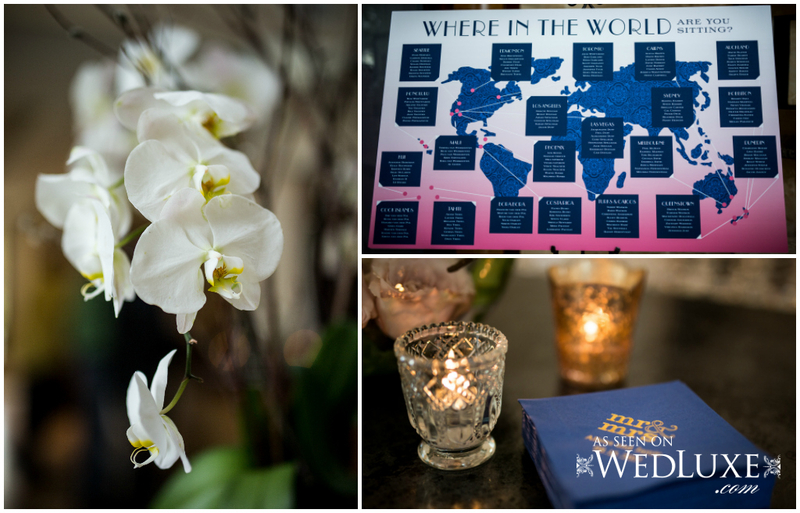 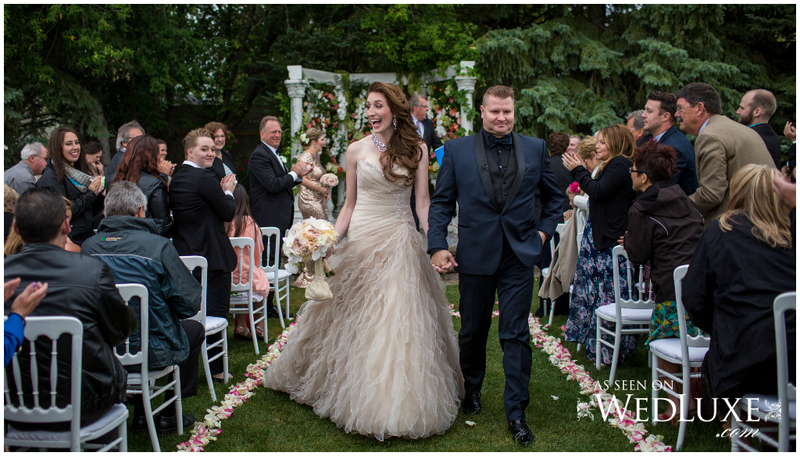 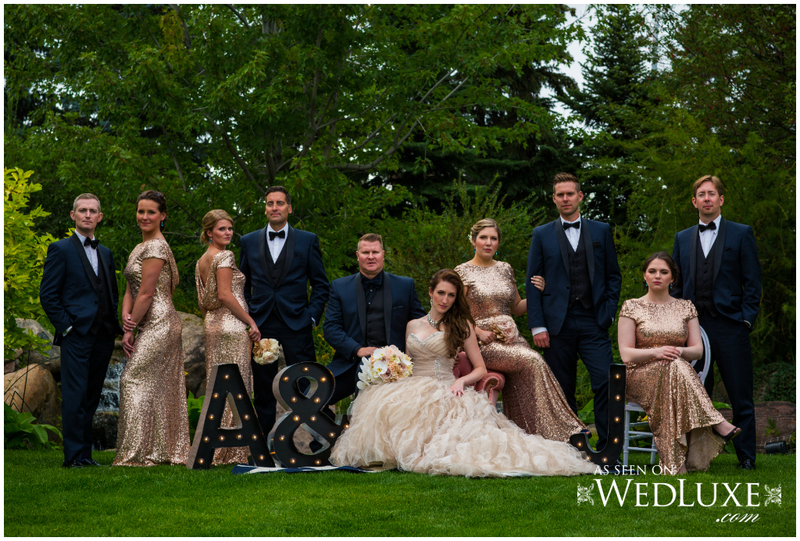 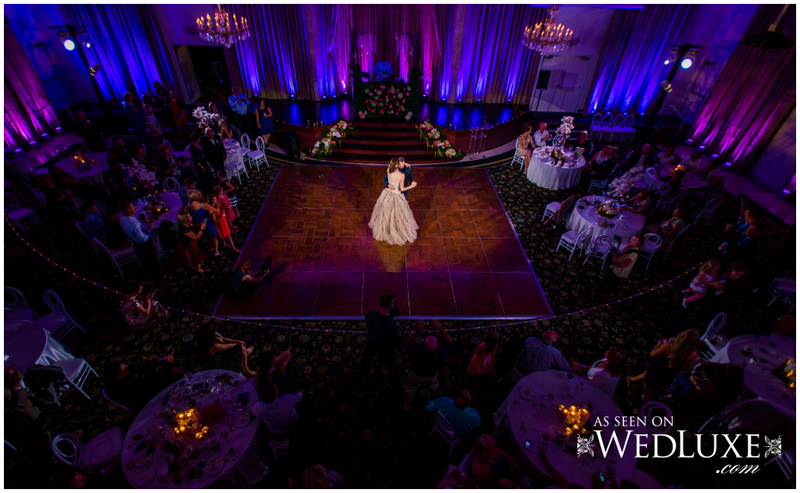 Featured on the WedLuxe blog, Allena + Jamie’s wedding was also a top 3 finalist for a 2016 Canadian Special Events Star Award in the Best Wedding Over $75K category! 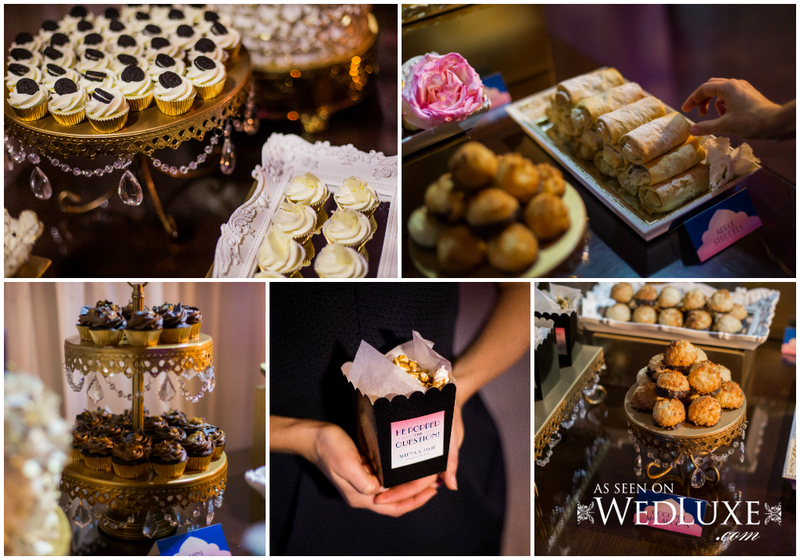 Favours: The Violet Chocolate Co.